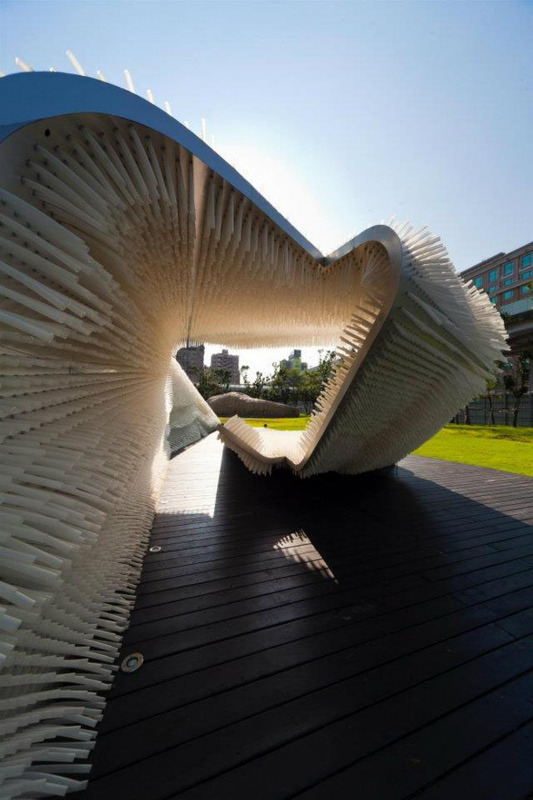 Anemone is an art/architectural installation in Taipei, Taiwan designed by Oyler Wu Collaborative based in California. The concept behind Anemone was to create an installation that is not only appreciated for its aesthetic beauty but also allows for interaction through touch. Built using thousands of transparent flexible rods at different depths to add to the undulating feel of the structure, and give the look of bristling tentacles, the shape invites the viewer in and encourages them to feel the the walls as well as sit in the incorporated benches and bed-like elements. The cantilevered canopy adds elegance in addition to protection. 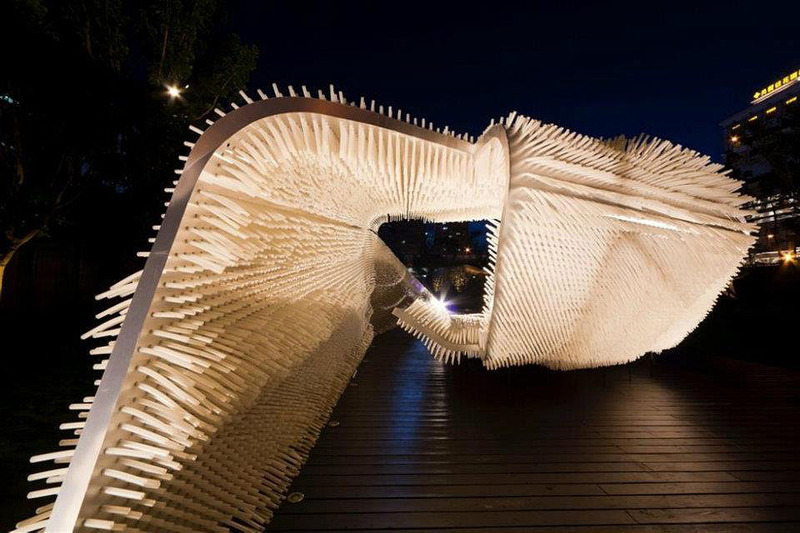 This entry was posted in Architecture, Art, Interaction Design, Just Plain Cool. Bookmark the permalink.